As strange as it sounds, people have been kind of losing their minds about Trix cereal for a while now. Not too long ago General Mills decided to give artificial flavors and colors the boot from many cereals. That included the neon-colored and neon-flavored cereal beloved by rabbits. Instead of the vibrant colors of the red light district, there was a duller-colored Trix inside the box. [Gasp.] Even worse, for some, the berry shapes of their youth had also disappeared. The complaining wasn't confined to Twitter. People were writing and calling the company regularly to complain about the changes. Strangely enough, gripes about the missing artificial coloring and flavoring in Trix were so plentiful that General Mills announced it's bringing back the classic colors. Trix will now be offered in two variations. The current version will remain on shelves as Trix. It will continue to have no artificial flavors or colors from artificial sources. It will be joined by Classic Trix, a cereal loaded with all the artificial colors people couldn't stand to live without. 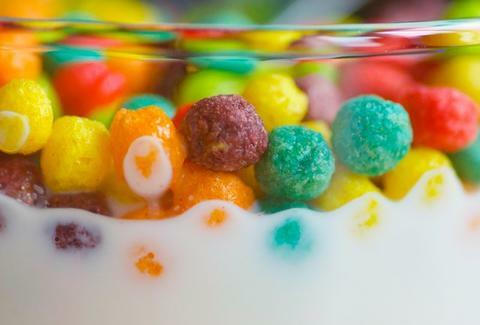 "Consumers have differing food preferences," General Mills wrote in the announcement, "and we heard from many Trix fans that they missed the bright vibrant colors and the nostalgic taste of the classic Trix cereal." Those Trix fans have won the day. Though, lovers of the old style aren't yet getting everything they want. "Another request from our ‘retro’ Trix fan base," the announcement continued, "is to bring back the old fruit shapes – something we hope to be able to add in the future." It's not setting General Mills back from trying to have fewer artificial ingredients in its products overall, however. More than 90% of its cereals have no artificial flavors or colors derived from artificial sources. Probably a solid bet the company didn't expect this much push back on trying to cut out artificial ingredients. 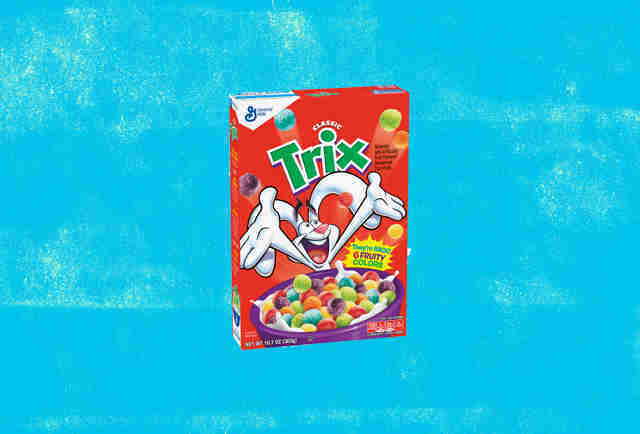 Silly General Mills, clearly Trix are for adults with a strong sense of nostalgia.